Among the Newbury Park Athletic teams, the NPHS Dance Team has solidified itself as not only one of the most successful in the school but one of championship caliber. Over the course of three months (January-March), the team commits itself to what they call “comp season,” or competition season, where the team performs and competes against various schools in Southern California with their eyes set on Grand Champions. Third year dancer and Team Captain Peyton Tovey, junior, went over the team’s philosophy as they finish the first three weeks of competition season. “Going into comp season you really can’t set expectations for how you want to do because dance is so subjective and you go into it kind of hoping that the judges like you. This year we have a lot of potential and have been doing very well at each competition, but we don’t let the results from the previous comp affect our performance for the next. We always keep an open mind and go into it working harder than the last,” Tovey said. Since the end of January, the team has competed in three competitions and dominated their opponents. Dance Team has earned the title of Grand Champions in two out of the three competitions thus far, and second runner-up for the other. The group also took home various awards such as best technique, best showmanship, best choreography and a total of 16 first places. With the several awards obtained so far in competition season, Shyah Butcher, junior, earned the Dancer of the Year Award all three weekends. Butcher explained that as satisfying as it was winning the award, it took an immense amount of time to get there. “It’s been pretty crazy, I wasn’t expecting to win not only once but all three times… I’m really hard on myself personally to be the best I can be and to work hard no matter how I’m feeling that day because I know there’s somebody else who wants it just as much as I do, and if I’m not giving it my 110% each time I’m aware that somebody else sure is,” Butcher said. Looking forward, the team is preparing for Nationals, a nationwide tournament. With hopes to win National Champions, Team Captain Rhea Vermani, senior, assures her team that although winning is satisfying, they must keep their foot on the pedal. “We keep trying to remind ourselves that we can’t sit back and relax. It’s fun to win, but it also means that most other teams are really going to want to beat us going forward, and we have to show the judges that we’re still working to get better. 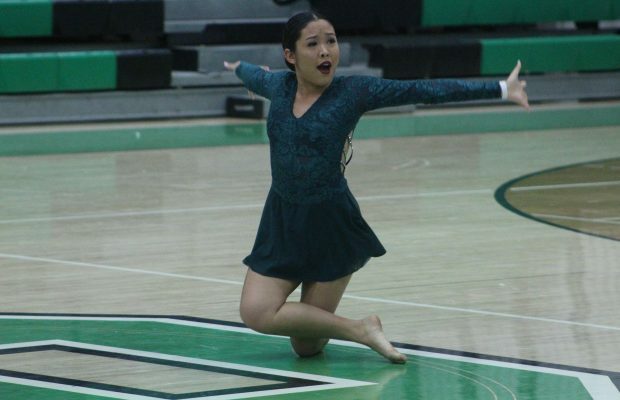 We usually will watch videos and try to fix our dances with things that judges give feedback on, and spend time with our teammates having fun too so that we can go into Nationals with a good attitude,” Vermani said. The team members rely on each other for support while they work hard towards their goals. They realize the importance of staying focused and having a good work ethic. “The dedication and commitment of our team is unreal and I wouldn’t be able to make it through all the practices without them. 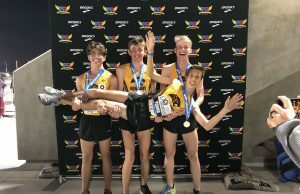 We all push each other and have a lot of fun and our goal is to win Nationals this year, so we all have been pretty hard on each other and making sure each rehearsal we are completely focused so we feel absolutely the most prepared for when we go to Nationals,” Butcher said. The team feels that it is a group effort with each member giving it their all. Their hard work does not go to waste as it shows in their results, winning competition after competition and never taking a break. 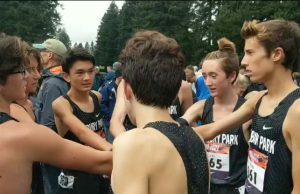 “Winning feels so rewarding because each person gives up so much for this team, and coming together and winning it all is so awesome especially when you don’t expect it,” Tovey said.